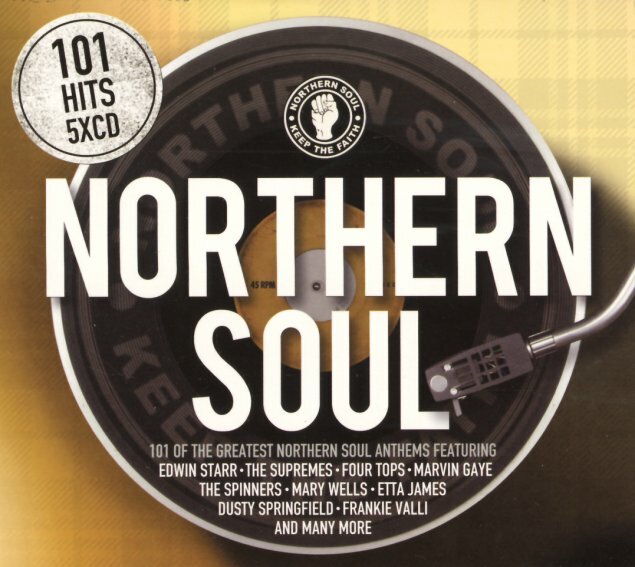 The title's no lie – as this sweet little set features 101 Northern Soul classics – a treasure trove of upbeat soul from the 60s – with lots of rare cuts, obscure groovers, and the kinds of tracks that always got more play on UK dancefloors than back home here in the US! For the price, the set is a hell of a collection – and features killer classics from labels that include Motown, Chess, Philips, MGM, and other vintage imprints – with a nice degree of overlooked cuts that have only been discovered by the northern scene in more recent years. Titles include "Til You Were Gone" by Frank Wilson, "Love Love Love" by Bobby Hebb, "Stop Her On Sight" by Edwin Starr, "What More Could A Boy Ask For" by The Spinners, "Can't Satisfy" by The Impressions, "I'm The One Who Loves You" by Darrell Banks, "Why Am I Lovin You" by Debbie Dean, "The Night" by Frankie Valli & The Four Seasons, "I Got A Feelin" by Barbara Randolph, "Heaven Must Have Sent You" by The Elgins, "Dr Love" by Bobby Sheen, "Trampoline" by Spencer Davis Group, "Nothing Left To Give" by Thelma Houston, "Baby I Miss You" by Tommy Good, "I've Been Blessed" by Bobby Taylor, "Look What You Done Boy" by The Lollipops, "Friday Night" by Johnny Taylor, "Baby I Love You" by Howard Tate, "Helpless" by Kim Weston, "Moody woman" by Jerry Butler, "There's A Ghost In My House" by R Dean Taylor, "Ordinary Joe" by Terry Callier, "Wade In The Water" by Marlena Shaw, "Drop In The Bucket" by Mary Wells, "Baby A Go Go" by Barbara McNair, "Love's Gone Bad" by Chris Clark, "Run For Cover" by The Dells, "Battened Ships" by Odyssey, "Nothing But A Heartache" by The Flirtations, "Sure Is A Lotta Woman" by The Isley Brothers, and "Keep On Lovin Me" by Francis Nero. © 1996-2019, Dusty Groove, Inc.